A spellbinding magical adventure. 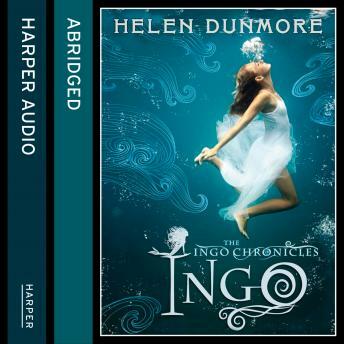 Master storyteller Helen Dunmore writes the story of Sapphire and her brother Conor, and their discovery of INGO, a powerful and exciting world under the sea.You'll find the mermaid of Zennor inside Zennor church. She fell in love with a human, but she was a Mer creature and so she couldn't come to live with him up in the dry air. She swam up the stream to hear him sing, then one day he swam down it and was never seen again. He became one of the Mer people...Sapphire's father told her that story when she was little. When he is lost at sea she can't help but think of that old myth; she's convinced he's still alive.The following summer her brother Conor keeps disappearing for hours on end. She goes to the cove to find him, but instead meets Faro, an enigmatic and intriguing Merman. He takes her to Ingo and introduces her to a world she never knew existed. She must let go of all her Air thoughts and embrace the sea and all things Mer.After her first visit she is entranced - merely the sound of running water makes her yearn to be in Ingo once more. Ingo blood runs strongly in Sapphy and Conor fears she will leave the Air world for good. He pleads with her to ignore her craving for the sea and stay safely in their cottage up on the cliff.But not only is Sapphy intoxicated by the Mer world, she longs to see her father once more. And she's sure she can hear him singing across the water..."I wish I was away in IngoFar across the briny sea..."